Seeing the crowds, [Jesus] went up on the mountain, and when he sat down, his disciples came to him. And he opened his mouth and taught them (Matt. 5:1-2). The teaching of Jesus found in Matthew 5-7 is commonly called the “Sermon on the Mount.” The sermon gives us the essence of Christianity. In other words, in the Sermon on the Mount, Jesus tells his followers how he wants them to live. There used to be an ABC laundry detergent commercial that asked the question “Can you see the difference?” According to the commercial, clothes washed with ABC look no different than clothes washed with a more expensive brand of detergent. Sadly, many people say they can’t see a difference between Christians and everybody else. The Sermon on the Mount is the King’s declaration that he expects his people to be different. In the Gospel of Matthew, Jesus is often compared to Moses. Jesus is a new and greater Moses. Moses went up a mountain to receive God’s law for the Israelites. Obeying God’s law would make the Israelites different from the other nations. Matthew 5:1-2 says, “Seeing the crowds, [Jesus] went up on the mountain, and when he sat down, his disciples came to him. And he opened his mouth and taught them.” And in the Sermon on the Mount, Jesus repeatedly makes it clear that his followers are to act differently than other people. We should be concerned with our inward desires, not just our outward actions. “You have heard that it was said, ‘You shall not commit adultery.’ But I say to you that everyone who looks at a woman with lustful intent has already committed adultery with her in his heart” (5:27-28). We are to love our enemies, not just our family and friends. “If you love those who love you, what reward do you have? Do not even the tax collectors do the same? And if you greet only your brothers, what more are you doing than others? Do not even the Gentiles do the same?” (5:46-47). We are to try to impress others with our religious acts. “Beware of practicing your righteousness before other people in order to be seen by them, for them you will have no reward from your Father who is in heaven” (6:1). We are not to worry about material things. “Do not be anxious, saying, ‘What shall we eat?’ or ‘What shall we drink?’ or ‘What shall we wear?’ For the Gentiles seeks after all these things, and your heavenly Father knows you need them all” (6:31-32). If you’re a Christian—a citizen of God’s kingdom—people should be able to see a difference in your life. What difference would it make if people could see a difference in our lives? The kingdom of God is the rule of God. God rules in the lives of Christians, but the church is not synonymous with the kingdom. The kingdom is both already here (“the kingdom of God has come upon you,” Matt. 12:28) and not yet here. This doesn’t mean that we enter the kingdom by our own good works. The only requirements are repentance and faith in Christ. R. Kent Hughes, The Sermon on the Mount, 16. An example of this is how both Moses and Herod were saved from two murdering kings: Moses from Pharaoh and Jesus from Herod. D. Martyn Lloyd-Jones, Studies in the Sermon on the Mount, 13. 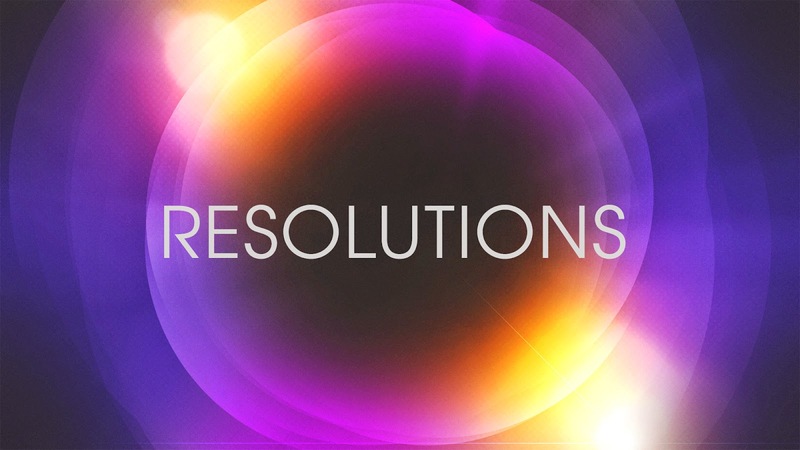 How Can I Keep My Resolution to Pray Daily? This is the time of year when people are trying to keep New Year’s resolutions. Christians often make New Year’s resolutions. Two of the most common Christian resolutions are to read the Bible daily and to pray daily. January 17 was Ditch Your Resolutions Day. Two ice cream franchises, Marble Slab Creamery and Maggie Moo’s, celebrated the fake holiday by offering a special by one, get one free ice cream deal. Why was January 17 picked as Ditch Your Resolutions Day? Because by this time, many people have already given up on the resolution. Resolutions are hard to keep. How can we keep our resolution to pray daily? If we are to keep our resolution to pray daily, we should remember five things. Throughout 1 John, John emphasizes that believers are God’s children (“born of God”). In 3:1, he writes, “See what kind of love the Father has given to us, that we should be called children of God.” God is a Father who loves his children more than we can imagine. Because we know God loves us, we can have “confidence” (v. 14) when we pray. When we approach God in prayer, we are approaching a Father who wants what is best for us. Jesus said, “Which one of you, if his son asks him for bread, will give him a stone? Or if he asks for a fish, will give him a serpent? If you then, who are evil, know how to give good gifts to your children, how much more will your Father who is in heaven give good things to those who ask him” (Matt. 7:9-11). Sometimes God’s children ask him for stones and serpents, and God says, “No.” Sometimes God grants his children’s requests for bread and fish, but he says, “Wait.” Sometimes God’s children ask for bread and fish, but God says, “I have something else planned for you” (e.g., Paul’s denied request in 2 Cor. 12:7-10). 5. Before we pray, we should have a plan. Instead of saying to ourselves, “I want to pray daily,” we should make a specific plan. An ideal plan would be to combine Bible reading and prayer. Here’s one possible plan: (1) set aside 20-30 minutes; (2) pick a quiet time and place; (3) read a portion of Scripture; (4) meditate upon the words you read; (5) ask God to speak to you through those words; (6) pray. The Sermon on the Mount (Matt. 5-7) is one of the most familiar, yet also challenging, portions of Scripture. 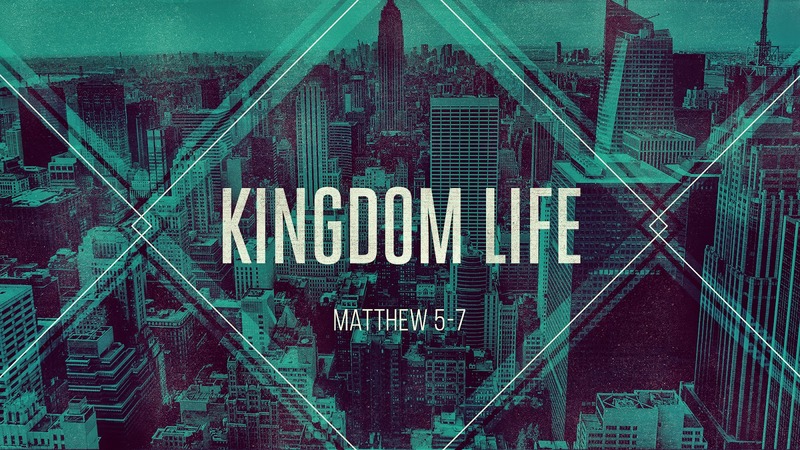 This coming Sunday, I am going to begin a new sermon series on the Sermon on the Mount called "Kingdom Life." I decided to give the series this title because Jesus' sermon talks about how Christians are to live as members of his kingdom. Below are the books I'll be using in my sermon preparation. How Can I Keep My Resolution to Read the Bible Daily? All Scripture is breathed out by God and profitable for teaching, for reproof, for correction, and for training in righteousness, that the man of God may be complete, equipped for every good work (2 Tim. 3:16-17). This is the time of year when people make New Year’s resolutions. Unfortunately, most people don’t keep their resolutions. A common New Year’s resolution for Christians is to read the Bible more regularly. How can we be more successful in keeping our resolution to read the Bible daily? If we are to keep our resolution to daily read the Bible, we must do two things. 1. We must have a high view of the Bible. Paul writes, “All Scripture is breathed out by God” (3:16). The Greek word for “breathed out by God” (“inspired,” NASB) is theopneustos. The word does not occur in any other Greek text (biblical or secular) prior to 2 Timothy. Some people think that Paul might have invented the word. The psalmist says, “I will delight in your statutes; I will not forget your word” (Psalm 119:16). The Hebrew word for “forget” (shakach) means to lay aside, to forget, to take for granted, to neglect. If we believe that the words of the Bible are the words of God, we shouldn’t neglect to read the Bible’s words. As Paul writes, the words of the Bible are “profitable” (cf. 1 Tim. 4:8; Titus 3:8). 2. We must have a plan. Why do so many people fail to keep their New Year’s resolutions? They don’t have a good plan. If you fail to plan, you plan to fail. Paul tells Timothy, “Do your best to present yourself to God as one approved, a worker who has no need to be ashamed, rightly handing the word of truth” (2:15). Paul compares a Christian to a “worker” (i.e., a laborer). To work effectively, a worker needs a plan. Of course, with a plan we also need to have dedication. We must plan how we will read the Bible. There are many Bible reading plans. We must also plan when and where we will read the Bible. But we must not read the Bible just to read it—to merely get it done. Reading the Bible is important, but being changed by the Bible is much more important. As James writes, “Be doers of the word, and not hearers only, deceiving yourselves” (James 1:22). Are the Words of the Bible Valuable to You? Two men were especially influential in making the Bible available to English readers. John Wycliffe was the first person to translate the Bible into English in 1380. William Tyndale was the first person to print an English Bible in 1526. Wycliffe and Tyndale risked their lives because they saw the great value in English people being able to read the Bible in their own language. Tyndale was strangled to death, and his dead body was burned at the stake. Wycliffe’s body was exhumed and burned. Think about Wycliffe and Tyndale’s view of the Bible and our frequent neglect of it. Today, we are often guilty of taking the Bible for granted. English Bibles are so easily available in Canada. Most Christians have multiple copies in their home. Do you believe the words of the Bible are the words of God? Do you believe there is value in reading the Bible? If you do, you need to have a plan to daily read the Bible—a wise plan you can stick to. And as you read it each day, seek to understand it and obey it. The Binding of Isaac: How Could a Good God Tell a Father to Kill His Son? At the age of seventy-five, Abraham was given an incredible promise from God. Abraham and his wife Sarah would be given something that they had desperately wanted for so many years: a son. And through the birth of this son, God would bless Abraham in many amazing ways: God would make of Abraham “a great nation” (Gen. 12:2) ; in Abraham “all the families of the earth [would] be blessed” (Gen. 12:3); and his descendents would be as numerous “as the dust of the earth” (Gen. 13:16). Many years passed without a son being born to Abraham and Sarah. And when God repeated his promise of a son, they both laughed (Gen. 17:17; 18:12). Such a thing was beyond improbable. But in spite of their doubts, Abraham and Sarah’s miracle child was finally born (Gen. 21:5). He was named “Isaac,” which means “he laughs.” Their laughter of skepticism  had turned into laughter of joy. But some time later a shocking command came from God to Abraham: “Take your son, your only son Isaac, whom you love, and go to the land of Moriah, and offer him there as a burnt offering on one of the mountains of which I shall tell you” (Gen. 22:2). Did these words really come from the God whom the Old Testament declares to be compassionate? How could such a God ask a father to kill his own son? Skeptics, seeking to discredit the Bible, assert that this is an immoral command. For example, well-known atheist Richard Dawkins describes the binding of Isaac as a “disgraceful story” of “child abuse” and “bullying.”  However, this post will argue that the command of Genesis 22:2 was not immoral. Rather, the binding of Isaac  should be seen as a test of Abraham’s devotion to God, a repudiation of child sacrifice, and a foreshadowing of the sacrifice of God’s own Son. Genesis 22 begins by informing us that the command of verse 2 was a test (“God tested Abraham, v. 1). Clearly, it was not God’s desire for Isaac to die. However, Abraham was given no hint that he was merely being tested. Therefore, the reader of Genesis 22 must not think that the nature of the command (i.e., it being a test) made Abraham’s obedience any less difficult. Victor P. Hamilton points out that the command “Take” is “followed by the participle -nā’ [and] is normally translated something like ‘please’ or ‘I beg you.’”  Hamilton also points out that -nā’ “is used only five times in the entire OT when God speaks to a person. Each time God asks the individual to do something staggering, something that defies rational explanation or understanding.”  This indicates that God was sensitive to how difficult the command would be for Abraham to obey. Verse 3 states that “Abraham rose early in the morning, saddled his donkey, and took two of his young men with him, and his son Isaac.” James L. Crenshaw comments, “The astonishing thing about this divine command is Abraham’s readiness to accept such a word without the slightest whisper of objection.”  Abraham had been bold enough to question God in the past. In Genesis 18, when God told Abraham that he would soon destroy the cities of Sodom and Gomorrah, Abraham argued that this judgment was unfair: “Shall not the Judge of all the earth do what is just?” (Gen. 18:25). So why didn’t Abraham question the fairness of the divine command to sacrifice Isaac? We are not told why, but perhaps Abraham had learned to trust that the Judge of all the earth does in fact always do what is right. What was the purpose of God’s test of Abraham? When Abraham “reached out his hand and took the knife to slaughter his son” (v. 10), the angel of the LORD, speaking on behalf of God, said to Abraham, “Do not lay your hand on the boy or do anything to him, for now I know that you fear God,  seeing you have not withheld your son, your only son, from me” (v. 11). The purpose of the test was to demonstrate whether or not Abraham feared God. Abraham’s willingness to sacrifice his son clearly showed that he did. But what does it mean to “fear God”? One helpful definition of the “fear of God” is “affectionate reverence.”  To “fear God” means to both love and obey Him. There is a connection between love for God and obedience to God. To love God is to obey Him. Jesus declared that the greatest commandment is to “love the Lord your God with all your heart and with all your soul and with all your mind” (Matt. 22:37). Timothy Keller believes that God’s test of Abraham was “about loving God supremely.”  Abraham might have been in danger of slipping into idolatry. Keller defines idolatry as “the making of good things into ultimate things.”  We are to put nothing—including a very good thing like a son —before God. The first commandment says, “You shall have no other gods before me” (Exod. 20:3). Abraham had desperately wanted a son. Now that he had finally been blessed with a son, whom did he love more: Isaac or God? In the end, Abraham’s obedience to such a difficult command proved that he was most devoted to God. If ever anyone did truly love God with all his heart, it was Abraham in that moment when he was ready to sacrifice his beloved son. Before addressing the issue of child sacrifice, there are a couple of details that should not be overlooked. First, it is possible that Isaac was willing to die. Isaac is often imagined as a little boy who was forced to submit to his father. However, Isaac was probably the stronger of the two. Abraham was an elderly man, over one hundred years old, and the text suggests that Isaac was at least a teenager, maybe even a young adult. In verses 5 and 12, Isaac is called a “boy,” but the English Standard Version notes that another possible translation of the Hebrew word na’ar is “young man.” Hartley points out that na’ar is also used in Genesis 22 for Abraham’s “young men” (i.e., his servants) in verses 3, 5, and 19. Therefore, it is possible that Isaac was around the same age as the servants. Furthermore, verse 6 states that Isaac carried the wood for the burnt offering. This would probably be a task too difficult for a little boy. Whether or not Isaac was willing to die and whether or not Abraham believed Isaac would be spared, the issue of child sacrifice still remains. In Exodus 22:29, God does say, “The firstborn of your sons you shall give to me.” However, this does not mean that God wanted the Israelites to literally sacrifice their firstborn sons. The point was that everything rightfully belongs to God. Also, the Israelites were able to redeem their firstborn sons (Exod. 13:13). The verb “provide” in verse 8 (“God will provide for himself the lamb,” cf. v. 14) literally means “to see.” Walton comments, “This usage approximates one of the idiomatic uses of the verb ‘to see’ that we also have in English. When we say ‘I will see to it that the report is done on time,’ we are using the verb ‘to see’ to convey that the details will be taken care of.”  So God saw to it that there would be a lamb for the burnt offering. In the binding of Isaac, it is not difficult to see Abraham as a type of the Father and Isaac as a type of the Son. The actions of Abraham foreshadowed the Father’s sacrifice of His Son, and the actions of Isaac foreshadowed the Son’s willing death. There is ample evidence that the New Testament authors saw it this way. The clearest New Testament allusion to the binding of Isaac is probably found in Romans 8:32, where the apostle Paul writes that God “did not spare his own Son but gave him up for us all.” Also, during the baptism of Jesus, the voice from heaven declares, “You are my beloved Son” (Mark 1:11; cf. 9:7). These words are reminiscent of how God described Isaac: “your son, your only son Isaac, whom you love” (v. 2). For Isaac, there was a substitute—“a ram, caught in a thicket by his horns” (v. 13), but, for Jesus, there was no one to take His place on the cross. Jesus was the provided “Lamb of God” (John 1:29) who was “led to the slaughter” (Isa. 53:7) to die for the sins of the world. As Abraham and Isaac did the work of the servants—Abraham chopping the wood for the bunt offering (v. 3) and Isaac carrying the wood (v. 6)—so the Father and the Son served humanity. Jesus proclaimed that “the Son of Man came not to be served but to serve, and to give his life as a ransom for many” (Mark 10:45). In their service to humanity, the Father and Son’s love is revealed. In Genesis 22, we can look below the surface and see something more. This story is not really about Abraham; it is about God. It was not Abraham who provided the sacrifice; it was God. It was not Abraham’s son who died; it was God’s. The divine promise given to Abraham (“in your offspring shall all nations of the earth be blessed,” v. 18) was fulfilled through Jesus Christ. God’s Son was born a Jew (i.e., a descendent of Abraham) to die for the salvation of people of all nations. From beginning to end, the binding of Isaac was a test. It was never God’s will for Isaac to die. But the question still remains: why did the divine test need to be so emotionally painful? Why didn’t God tell Abraham to give up his wealth instead? Wouldn’t that have been a suitable test? 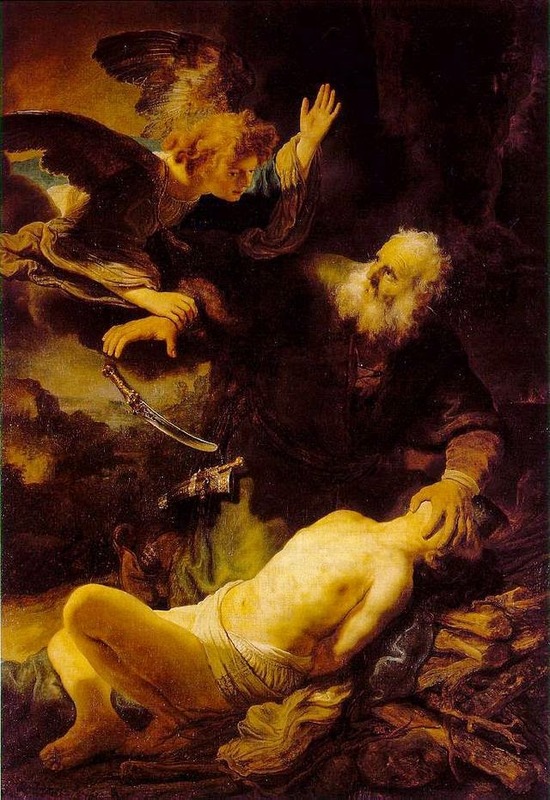 It has already been stated that part of the reason why God told Abraham to sacrifice Isaac was to prevent Abraham from turning his son into an idol. However, an additional reason is also possible. Perhaps God wants us to put ourselves in Abraham’s place—to think about how heart-wrenching it must have been to be told to put one’s own child to death. Yes, the command given to Abraham in Genesis 22:2 was disturbing. But maybe God wants us to be disturbed. Why? Because the more we are disturbed by the divine command, the more we should be amazed by God’s love. What Abraham was told to do, God actually did. “For God so loved the world that he gave his only Son, that whoever believes in him should not perish but have eternal life” (John 3:16). Unless otherwise indicated, Scripture quotations in this post are from the English Standard Version. Genesis 15:6 states that Abraham “believed the LORD” when God promised Abraham that his descendents would be as numerous as the stars in the heavens (v. 5). But it appears that his faith contained a certain amount of doubt. Richard Dawkins, The God Delusion (Boston: Houghton Mifflin, 2006), p. 243. Paul Copan, Is God a Moral Monster? (Grand Rapids: Baker Books, 2011), p. 46. Victor P. Hamilton, The Book of Genesis: Chapters 18-50 (Grand Rapids: Eerdmans, 1995), p. 101. James L. Crenshaw, A Whirlpool of Torment (Philadelphia: Fortress Press, 1984), p. 20. Why would an all-knowing God need to test Abraham if He already know what Abraham would do? John H. Walton in Genesis writes, “We must differentiate between knowledge as cognition and knowledge as experience. We can agree that God knew ahead of time what Abraham was going to do. But there is ample evidence throughout Scripture that God desires us to act out our faith and worship regardless of the fact that he knows our hearts” (Grand Rapids: Zondervan, 2001), p. 514. A secondary purpose of the divine test was to provide for others an example of genuine faith (see James 2.21-23). Charles Bridges, Proverbs (Wheaton, IL: Crossway, 2001), p. 67. Timothy Keller, Counterfeit Gods (New York: Dutton, 2005), p. 13. Timothy Keller, The Reason for God (New York: Dutton, 2008), p. 162. Obviously there was nothing wrong with Abraham loving his son. But his love for his son was not to come before his love for God. Gordon J. Wenham, Genesis 16-50 (Dallas: Word Books, 1994), p. 109. Another possible hint of Abraham’s faith can be found in verses 7-8. When questioned by Isaac about the lack of a lamb for the burnt offering (v. 7), Abraham declares, “God will provide for himself the lamb for a burnt offering, my son” (v. 8). Hamilton, Genesis 18-50, p. 113. It is sometimes said that Isaac carrying the wood for the burnt offering (v. 6) foreshadowed Jesus carrying the wooden cross (see John 19:17). It is also often contended that Moriah was the future site of the temple mount (which was located in the city where Jesus was crucified), but this is often disputed.